I have struggled in the past couple of years with the transition into the cooler months and my skin has not coped. This year, my goal is to make the transition work perfectly. 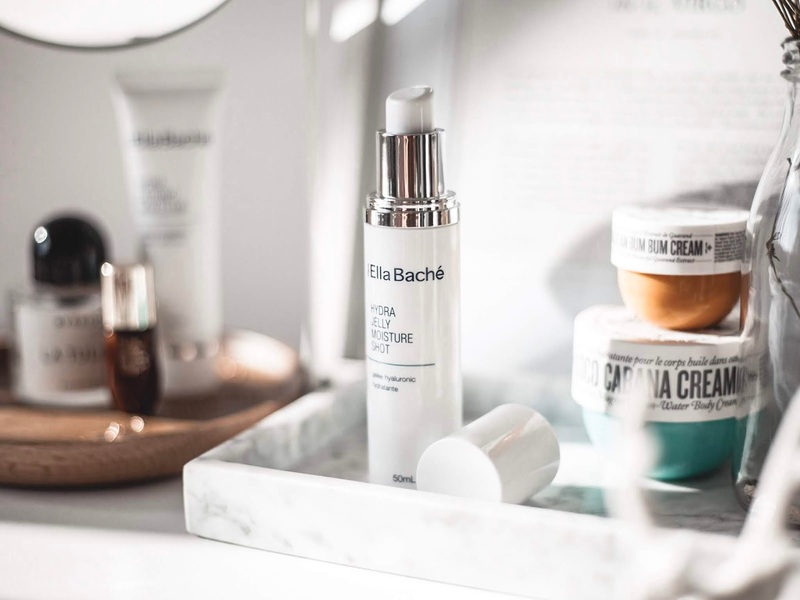 I have been testing out two new Ella Baché products to keep my skin hydrated and soft in this transition. Introducing 2 new Hydra innovations. Cationic polymers are widely used in hair care products as clever conditioning agents that have the ability to attach to damaged hair proteins and deposit active ingredients where they’re need most. They not only nourish the cells but also create a smooth, protective texture that locks in moisture and prevents dehydration. 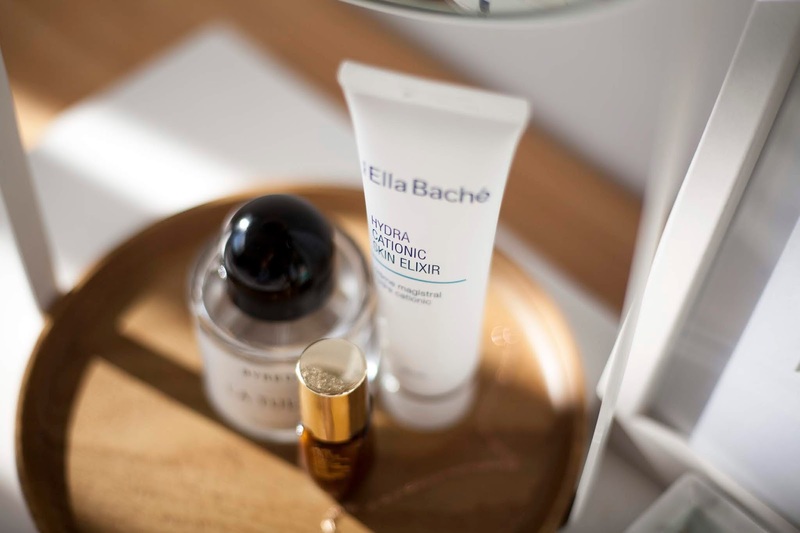 Ella Baché R&D team discovered that these particular polymers have a similar impact on skin. When incorporated into a facial moisturiser, they work synergistically with other ingredients to instantly rehydrate, refine, and revitalize the skin’s texture. It’s not only given a significant moisture boost but also has an instant smoothing and filling effect, thanks to the interactions between the key ingredients and the keratin in the epidermis. I have never heard of Cationic polymers before trying this product, but I am now very intrigued and excited by them. I have been using this as a moisturiser throughout the last month or so, applying a small amount and massaging it into the skin. I have been using it mostly at night, but also sometimes during the day before I use the next product. It is a light, creamy consistency that soaks into the skin quickly. It leaves your skin feeling soft and hydrated without leaving an oily residue on the skin. Also it smells AMAZING! It is claimed that 100% of users found their skin feeling softer, smoother and more hydrated after 28 days of using this, and I actually have to agree. I often accidentally bump my face while I am in bed and can't believe how soft my skin feels. It is soft and smooth and heavenly. I have been loving it so much and can definitely see this being beautiful for the autumn/winter period. We all know that dry skins need moisture. 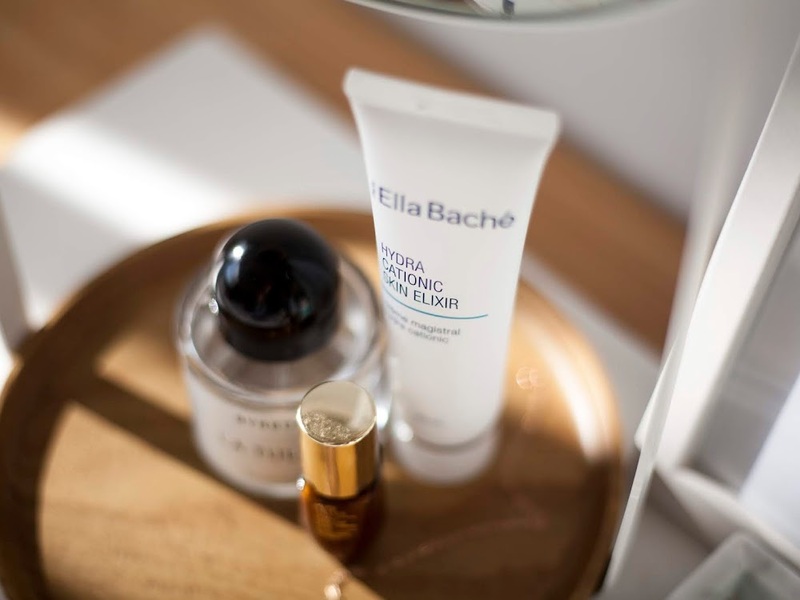 And so it’s easy to assume that oily skins need the opposite; which is why many people who experience excess oil or shine (either daily or during the summer months) skip moisturiser in an effort to calm and control their skin. While it makes sense in theory, in reality it only aggravates the problem. When the skin is starved of moisture, oil production can go into overdrive, producing even more sebum (oil). And as the surface skin is dehydrated, oil can become trapped underneath it and can clog pores, heighten congestion and breakouts, and even cause sensitivity. It's all about finding the balance, which is where this jelly comes in. Now, truth be told, I don't have oily skin, however I have been loving this product. It is a lightweight jelly consistency, almost watery. It soaks into the skin quickly, leaving your skin almost dry to touch, which is why I can see this being perfect for oilier skin types. It doesn't have a thick finish that leaves your skin feeling like it has just been moisturised, however it does help to hydrate the skin. For me, this has been perfect for the warmer weather. It hydrates the skin but doesn't leave my face feeling heavy in the hot weather. I have been using it in the morning, mostly, before wearing make up as a lightweight base. Heading into winter, I will definitely be using this in conjunction with the Cationic Skin Elixir to slowly move from more lightweight products into something a little bit more hydrating. Overall, I have been so damn impressed with both of these products. The smell luxurious and leave your skin feeling soft, smooth and super hydrated. The Cationic Skin Elixir retails for $69 and the Hydra Jelly Moisture Shot retails for $89. If you're looking for a good, hydrating moisturiser that doesn't leave your skin feeling heavy, I would highly recommend the Elixir, and if you're after something a little bit more lightweight, particularly if you have oilier skin, then the Jelly shot would be for you!